Everyone has different opinion about letting baby sleeping in the parent bedroom or on his own room. Short chopped nights are a big struggle for me…as I want to be able to feel asleep as soon as possible after feeding my baby, we decide to place her crib just next to our bed. So I can even put the pacifier back in her mouth without getting out of bed, which I appreciate especially during the winter months. To be able to fit the crib next to the bed, I modified a little our bedroom space, and took off my table nightstand. 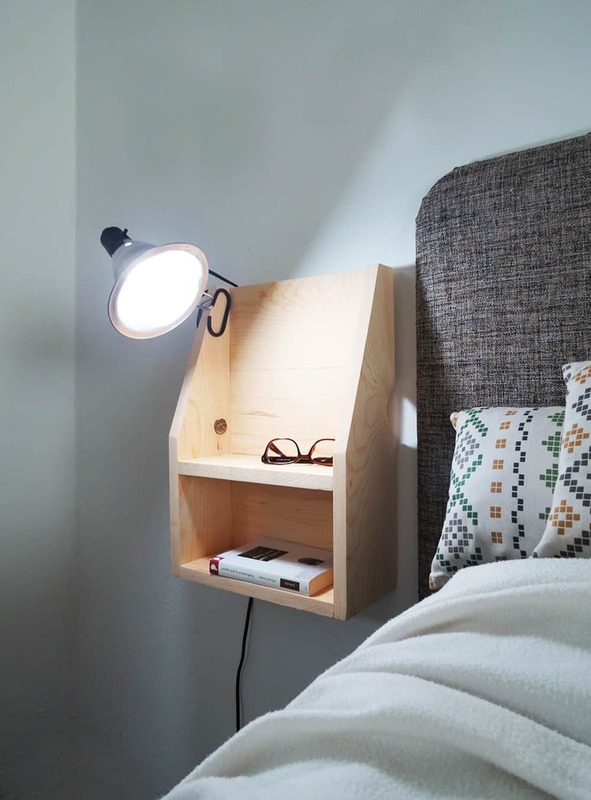 As I still like to read before sleeping I hanged a floating nightstand. 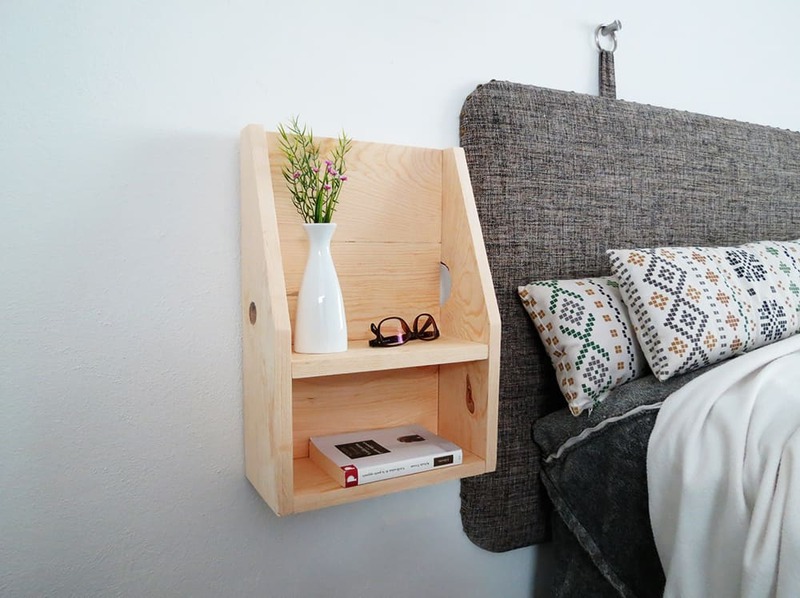 I build this shelf for Bob Vila, it’s pretty easy to make and you only need one lumber to make it! 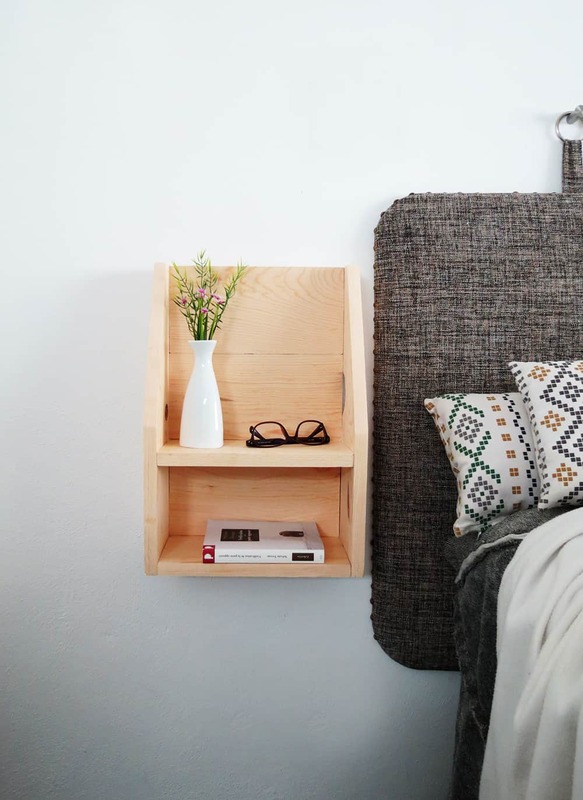 Head over to Bob Vila to find the step by step tutorial and start building your floating nightstand!